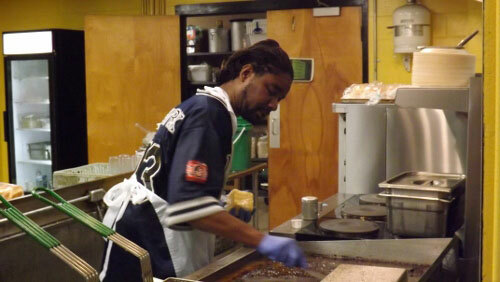 For more than 100 years Workshops, Inc. has assisted people with disabilities to live full lives by becoming employed. We believe that everyone, regardless of ability, has something positive to contribute to our community.We love to bring out that passion and to develop each person's abilities. Workshops, Inc. offers an array of vocational rehabilitation services that are geared toward helping people with disabilities become employed. For those who have never worked before, who have been away from employment for some time, or have trouble retaining knowledge of how to be a good employee, we offer an Employee Development Program. For those who already demonstrate good work habits, we offer Community Employment Services. And for high school students who seek some basic work experience or soft skills training to help them transition from school to work, we offer a Youth Transition Program. 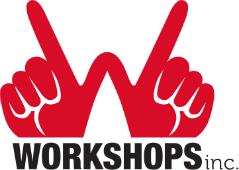 Workshops, Inc. also provides an Affirmative Business Enterprise that provides training opportunities and longer term employment for people with significant disabilities and other barriers to employment. Finally, Workshops, Inc. operates a Senior Community Service Employment Program (SCSEP), which serves low-income seniors in Jefferson County. Workshops, Inc.'s consumers have a wide range of disabilities - from physical to mental and intellectual. But they all have one thing in common: they are able to provide some level of productivity or potential for employment. Workshops, Inc. is not simply a day center for people with disabilities, because we expect each consumer to attain and maintain a basic level of productivity and to set vocational goals for his/her future. Consumers are generally referred to Workshops, Inc. by the Alabama Department of Rehabilitation Services. If you think that you or someone you love might benefit from Workshops' services, please contact us.